Pop-kantele sensation Ida Elina is coming! Kantele virtuoso Ida Elina has sparked new life into Finland’s national instrument with her unique percussive style, inspired by slap guitar, and her passion for pop music. Ida Elina’s bold style brings kantele music into the 21st century. In honor of Finland 100, she will perform in Minneapolis on Tuesday, May 2, sponsored by Finlandia Foundation Twin Cities. This first nine-city tour to the U.S. is sponsored by Finlandia Foundation National. 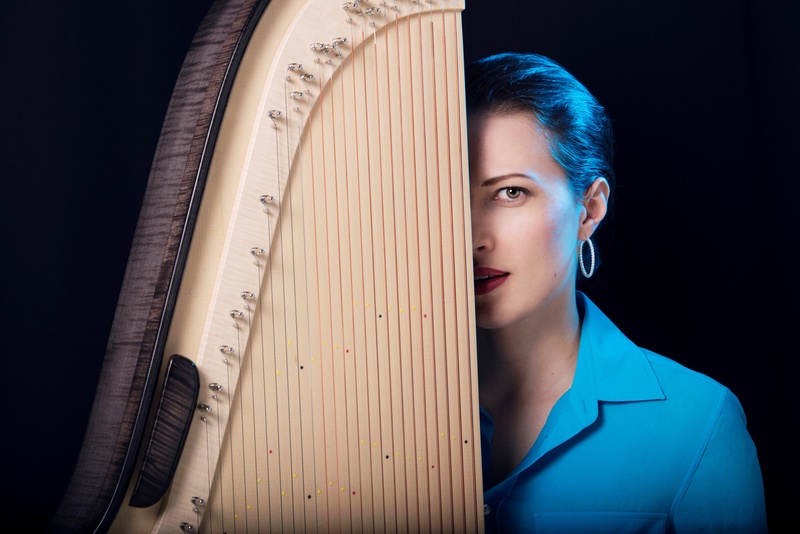 Enjoy Ida Elina’s vibrant voice and versatility as she enthralls audiences of all ages with her blending of traditional Finnish folk and contemporary music—including Michael Jackson and Adele—performed by the world’s first pop-kantele artist. Location/time: Minnehaha Academy Theater, 3100 West River Parkway, Minneapolis 55406, at 7 p.m.
Ida Elina graduated from Sibelius Academy; she was awarded top prize in the First International Kantele Competition (2011) and received the Kantele of the Year award (2015). http://Idaelina.com. The 11th Helsinki Design Week gets underway September 3-13, under the theme of “Time Machine.” More than 200 events will take place, many around the main venue of the L3 Design Dock in Helsinki’s Jätkäsaari. With a focus on the future of cities, the role of design will be explored to help envision what cities in another 30 to 40 years will look like. Helsinki has very actively integrated design into it urban planning through the work of Design Driven City, created by and resulting from the World Design Capital Helsinki year in 2012. In the beginning of 2015, Helsinki was named one of the 16 Cities of Design in the World as part of the UNESCO Creative Cities Network. Read more about the events of Helsinki Design Week and the work of Design Driven City. Happy 150th Birthday, Jean Sibelius ! In Finland and across the world, the year 2015 has been designated Sibelius 150 Jubilee Year to celebrate the sesquicentennial of the birth of beloved composer Jean Sibelius. We kick off the Jubilee Year in the Twin Cities this weekend, Feb. 19-21, with the Minnesota Orchestra as they perform the music Sibelius wrote for Shakespeare’s The Tempest, under the direction of Maestro Osmo Vänskä, and with mezzo soprano Lilli Paasikivi, from the Finnish National Opera. Join us at the concerts and look for Finlandia Foundation Twin Cities’ information table, where we’d love to talk with you! We also have special guest Glenda Dawn Goss, music historian and Sibelius biographer, visiting for the weekend. She will present pre-concert lectures at 7:15 p.m. prior to the Friday and Saturday night performances. On Sunday, Feb. 22, Ms. Goss will present a lecture, “Sibelius: A Composer’s LIfe and the Awakening of Finland” at 3 p.m., in the Paulson Hall at American Swedish Institute, 2600 Park Ave., S., Minneapolis. The cost is $5.00 for general audiences and free to members of Finlandia Foundation Twin Cities and ASI. In her book of the same title, Goss contends that in order to truly understand Sibelius, one must also understood the political and cultural times in Finland and his role in shaping a society that was transformed from duchy controled under the Russian Empire to a new nation that had created its own language, literature, music and pride in its heritage. Join us as Goss delves into the life and times of Jean Sibelius to help us understand the many mysteries of this great composer.